Gulf Coast Cooking is the Best! Cooking is second nature to me and my passion features Gulf Coast seafood. I like the simple pleasures of home-style meals, the love of local Creole & Cajun food and my enjoyment of Mexican and Western style cooking. Oh, and I love outdoor cooking, not just to past time, but 'cause it's a southern tradition. Licking spoons and bowls made me appreciate good, home made cooking. Living in a small town during my youth, growing up on a farm and appreciating the hard work of family made me who I am today. My mother, grandmother and our cooks are a few of the people who taught me to understand the significance of eating good, homespun foods. 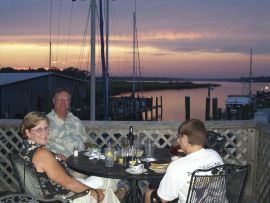 consistantly some of the best seafood around our seafood town, located on Dog River - causual, family favorites / 2015 - now under new management - service is still great but the recipes and food have changed on some items making this now rank lower on my 'go to' list' - overall - still a great place for fresh seafood, much better than 'commercial causeway'. It's never too late to receive a good recipe. Thanks for the 'fried' grits and shrimp. Hello there. I've started following you. Look forward to tasting some of your Cajun-themed recipes! 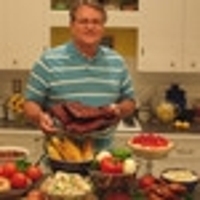 Hi Drick - I love your take on Southern cooking. I'm in Alabama too and one of the best things about moving here is the great fresh Gulf seafood. I look forward to following your recipes!! I'm looking for a recipe for Shrimp & Grits where the grits are actually fried before adding the sauce and shrimp. Any ideas? Greetings from Québec, looking forward to trying some of your recipes my friend. Good to meet you again in a new "crowd"! Hi Drick, Happy to meet up with you here. Glad to see you here! Welcome! Great to see you here my friend! Welcome!!!! !